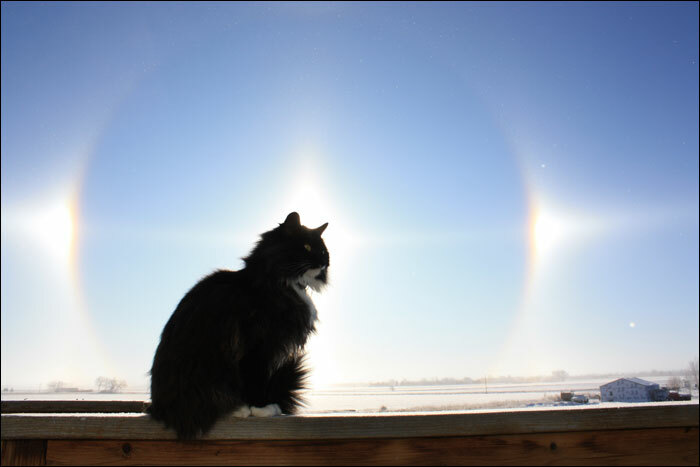 A sun dog or sundog (parhelion) is a common bright circular spot on a solar halo. 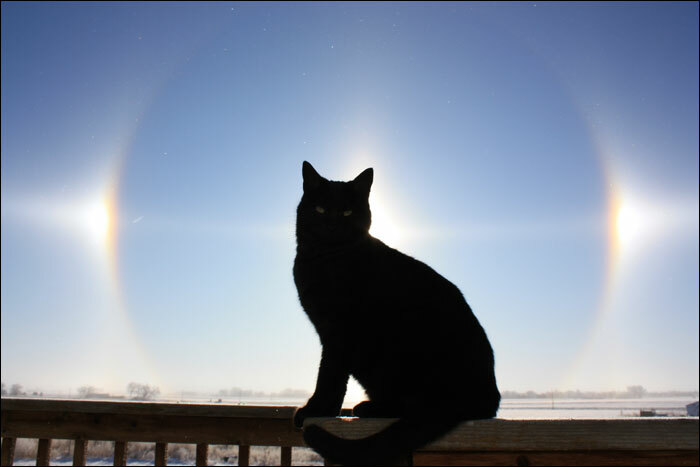 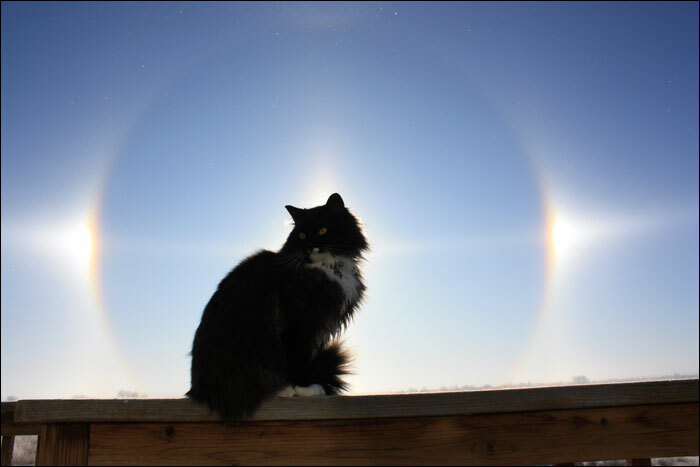 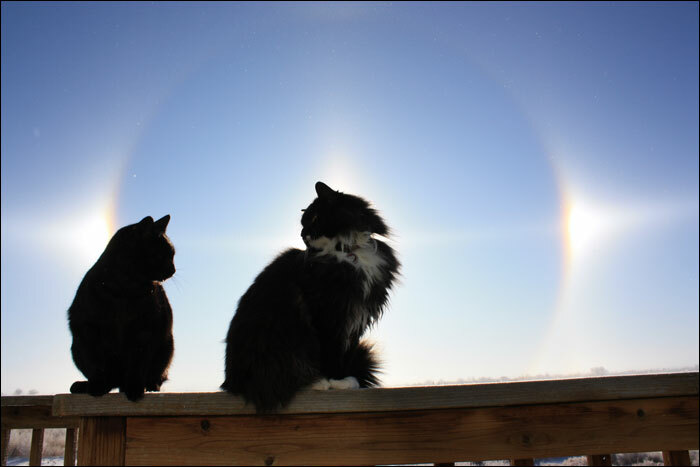 It is an atmospheric optical phenomenon primarily associated with the reflection or refraction of sunlight by small ice crystals making up cirrus or cirrostratus clouds. 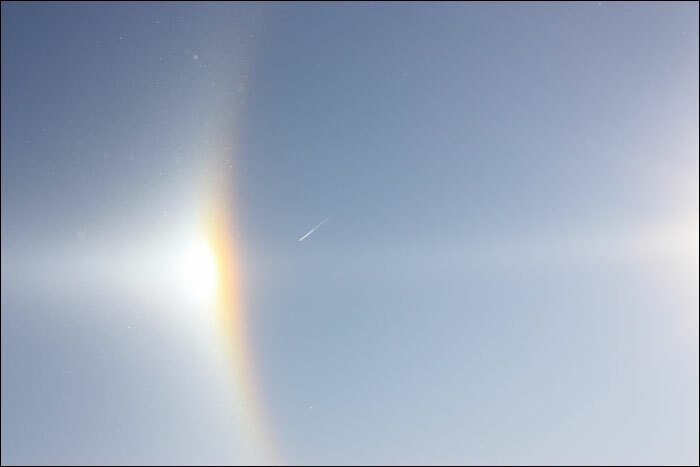 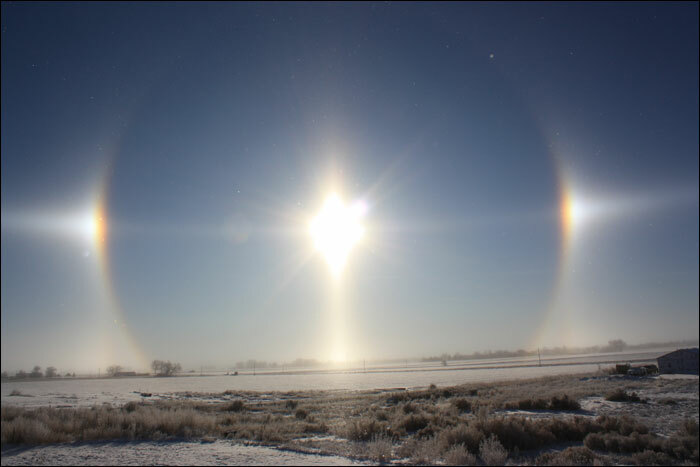 Often, two sun dogs can be seen (one on each side of the sun) simultaneously. 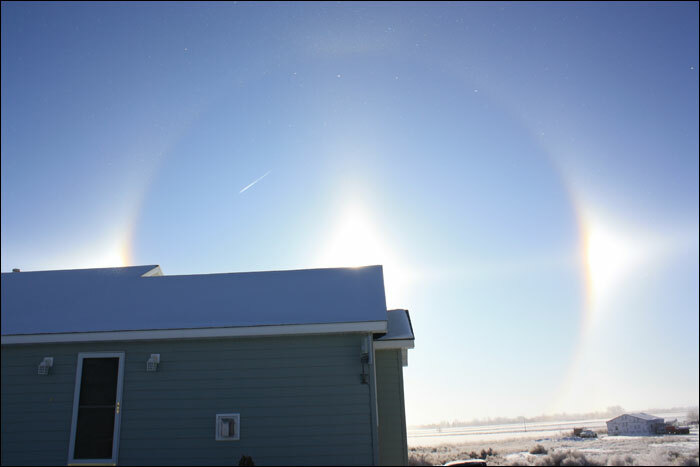 I took these pics North of Powell on 1/27/09 around 10:00 a.m.